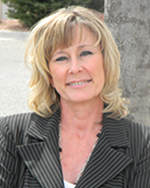 Hi, I'm Jonna Randall Murdock, a Farm Bureau Financial Services agent in Cottonwood, AZ (although I serve clients throughout the Verde Valley and the State of Arizona). Contact me for a consultation to see if you’re getting the best coverage with your current insurance policies, health coverage, and retirement benefits. I'm here to make insurance simple for you (and depending on your situation, I might even save you some money). I'm committed to helping you prepare for the future and protect what matters most. Let me help you through all stages of your life. Call (928) 649-8686 for your no obligation consultation today!